What Type of Salesperson Are You? Take Our Quiz! People who’ve never worked in sales, for the most part, tend to paint all salespeople with the same brush. If you ask the average person on the street to describe a salesperson, you’d probably hear words such as extroverted, charismatic, driven, and hard working. But the truth is, it takes all types of salespeople and a diverse range of personalities to make a well-oiled sales team tick. Salespeople know more than anyone that the personalities that make up a sales team are as diverse as the prospects they talk to each and every day. 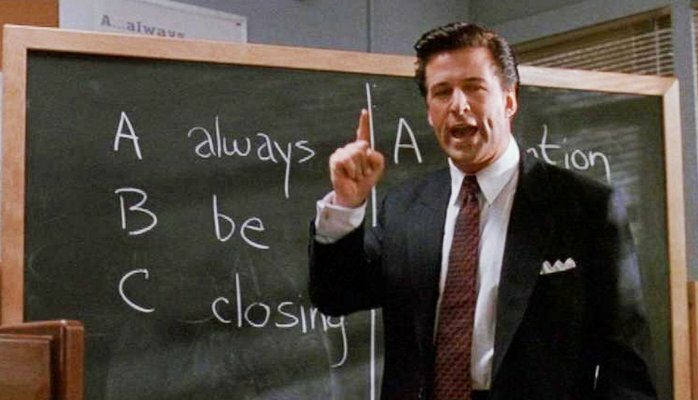 In any give sales team, you’ll have “The Grinder”, the rep that will go to the end of the earth in order to close a sale. Then you’ll have the salesperson that’s best described as “Silent but deadly” the person that sits in the corner and never says anything, but continuously exceeds their quotas month after month. In every sales team, you’ll have “The Magician” the guy who consistently pulls deals out of thin air and you’ve no idea how they did it. If the magician was a real estate salesperson who knew that they could only sell a house if it was the colour purple, he’d have the house painted within hours and no one would be the wiser. Have you ever wondered what type of a salesperson you are, take our quiz below to find out. For more great sales and marketing content, be sure sure to check out our blog and sign up to own Sales & Marketing Newsletter below.